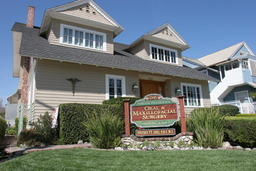 Questions About Dental Services in South Pasadena, California? From the 210 Freeway: Take the Fair Oaks off ramp and head South. Drive down a few miles. you will pass the 110 fwy. Continue driving south until you hit Monterey Road. Turn right on Monterey Road. Drive for 2 blocks, pass Fremont Ave, and turn right into our parking area. From the 110 Freeway: Take the Fair Oaks Avenue off ramp and turn right. Turn right on Monterey Road, Drive for 2 blocks, pass Freemont Ave, and turn right into our parking area. From the 10 Freeway: Take the Fremont Avenue exit and go north. Drive up a few miles. You will pass Huntington Drvie. Continue driving north until you hit Monterey Road. Make a left, then a quick right into our parking lot.